Sunday afternoon I went to the finale of The Great Race, a cross-country antique car rally, in The Villages to talk with some of the drivers about the 9 day drive down the eastern seaboard. 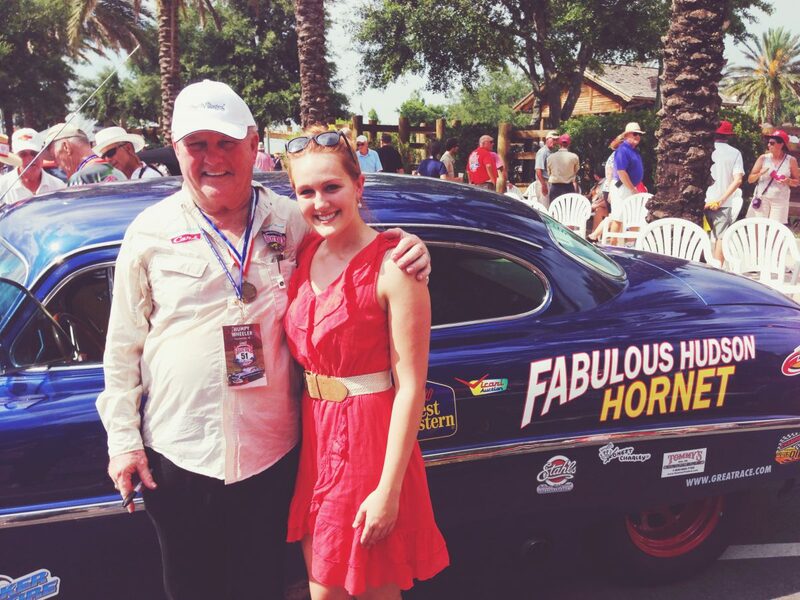 Legendary NASCAR promoter Humpy Wheeler was there after driving the Fabulous Hudson Hornet tribute car in the race, and I got to talk with him about talks about running the car in honor of his late friend Paul Newman, his thoughts on The Villages, and how well his co-pilot and grandson Austin navigated them through the course. Listen to the interview above for some laughs! This interview was done for NBC’s Florida Sports Talk Radio and originally appeared on the Florida Sports Talk website.